Shaving is an aspect of men's life that needs attention and some due inspiration besides tips and secrets. Here are set of tips which you would appreciate having learnt either for yourself or for the men you know and wish to share it ahead with. Read ON! When it comes to shaving, most websites you go to will not only constantly include links to buy “their recommended product”, which is one of the last things you need to do in order to have the best and closest shave possible. Another thing they do is use their own opinions rather than having the medical science to back it up. For instance, most websites that you go to will tell you to always shave with the direction your hair grows (the grain), rather than recommending you shave the opposite direction (known as against the grain). 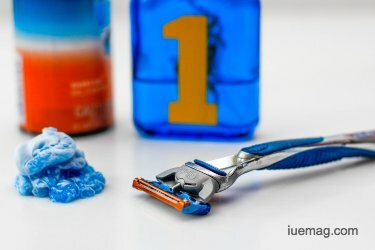 In this small guide, we’ll go through some things that can help you get the best and closest shave possible, while having the least bit of irritation as possible. Before we begin, we recommend you research some of the best DE safety razors and choose one to use for now and the future. First off, many websites recommend that you “shower before shaving”. While this is particularly true, the purpose behind it is to simply open your pores on your face. Although this is a helpful method, it is not always necessary. One method you can use instead of showering (sometimes we just don’t have time, or we have already showered) is to use a towel soaked with hot water (or a washcloth), and simply drape it over our face. You remember those old barber shops in movies where they wrap the guys head in a hot towel? The same principal applies here. The longer it sits (usually a few minutes), the more our pores open up for us. What this does is actually bring our hair follicles closer to the surface, makes them stand out of the skin better, and starts the softening process for the hair. If you have to while shaving, keep your pores open by using another wash cloth/towel again. At the worst case scenario, you may have to reapply some shaving cream. Big deal, right? Many websites will tell you to wash your face before shaving. This softens your hairs even more, and makes it easier for your hairs to lift and cut when you’re shaving. What they don’t tell you in detail are important tips that can help you in making this process be a lot better on your face, and help you get a more comfortable and closer shave. Here’s a good guide on how to wash your face. Make sure the room you are in is as warm as possible. This will help in keeping your pores open later. Wet your face with water as hot as you can stand it. Use something that’s soft and gentle for your skin, not something that has a high amount of fragrance and chemicals, and lather up your face and stubble well. Rather than rinsing the soap off immediately, let it sit on there for a minute or two. You don’t want the soap to dry, but long enough to soften the hairs better; the longer the better. Since we are prepping for a shave, rinse with water as hot as you can stand it again. You want to keep your pores open, rather than close them back up. Most of the time, we usually have time to literally just slap on the shaving cream, and rub it around on our face, spreading it around. Believe it or not, even if you are just using canned shaving cream, you may want to invest in a shaving brush. They’re usually only a couple dollars, and can help you tremendously as long as you rinse them after each shave. By using a brush, you can not only evenly distribute the shaving cream, but it helps massage the shave cream into every single pore, and can help soften the hair more closer to the skin (and in the pores). After applying the shaving cream, even though you may want to immediately start shaving, hold off on that for a little bit. In today’s market, most of us think more is better. This isn’t always the case. Sometimes 5 blade razors may make for a quick shave, but they also make for more irritation, especially when we’re trying these tactics. The important thing is that your blade is as sharp as possible, has no breaks, and contrary to many theories, you don’t need a straight razor to get a close shave. In a general practice, you do want to go with the grain in order to get a good shave, but despite the fact that most sites say “don’t go against the grain”, this is actually a controversial debate. Not everyone gets immediate skin irritation by going against the grain. While you can usually achieve the same results as long as you keep your pores open, use a sharp blade, and wash/lather appropriately, you may notice that you don’t get everything, or that you have rough patches on your skin. In these cases, it’s okay to go against the grain from time to time. For someone with extremely sensitive skin, you may not want to go against the grain, or if you are, do it less often than someone who can do it every few days. You also don’t want to shave against the grain every day. Doing this will surely increase your chances of irritation. But can you go against the grain without getting a ton of razor bumps and razor burn? Absolutely. Just make sure that you don’t make too many passes, as this is usually a primary cause of getting razor burn later. And take your time. When you rush your blade over your skin, that’s another key factor, along with how many times you have to pass over your skin. Usually in one fell swoop, you can get that rough patch a lot closer (one common area is just under the jaw line on the sides where our hair may grow in a different direction). Many people use after shaves in order to further alleviate possible skin irritation. Many of these are loaded with alcohol, and can actually do more damage to your raw shaved skin, rather than help it the way it should be. When you shave, not only are you striping away all of your wanted facial hairs, but you are also stripping your face of all of its natural oils that protect it. Therefore, what you want to do is invest in an after-shave product such as a lotion, that will help you restore your natural skin oils. You can even use dedicated “skin oils” or beard oils even if you don’t have a beard along with this. In this article, we’re not going to recommend you a certain product, as that choice is entirely up to you. 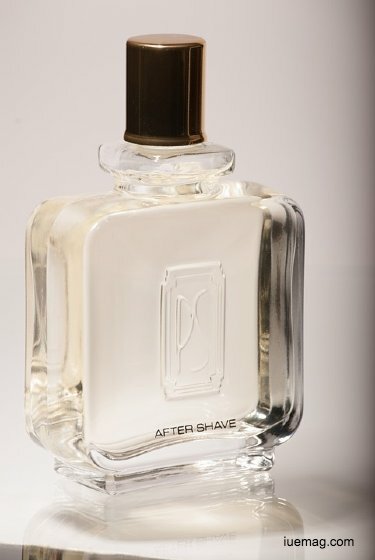 Shop around and find something you like as an aftershave product or lotion. You want value with price, so while you don’t have to spend a fortune, you probably don’t want to spend a dollar on a product that contains mostly alcohol. Shaving can be a great benefit to your routine, and should never be uncomfortable, or cause problems with your skin and face. 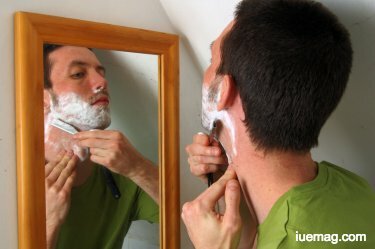 Remembering these key factors, you can not only give yourself the closest and most comfortable shave ever, but you can also feel great while looking clean as well.Keep in mind that you are your own boss when it comes to shaving, and also remember that you don’t always have to do the shaving yourself. Sometimes, just taking the time to sit back and let a barber give you a good shave can be beneficial once in a while as well. Most men can actually benefit from being able to relax at a barber shop even if they just go once a month. Any facts, figures or references stated here are made by the author & don't reflect the endorsement of iU at all times unless otherwise drafted by official staff at iU. This article was first published here on 25th January 2019.